Professional manufacturer, factory prices wih quality guarantee. Keep improving on quality and competitive with good service. Providing clean, smart, safe, reliable and more efficient solutions for low-voltage applications. 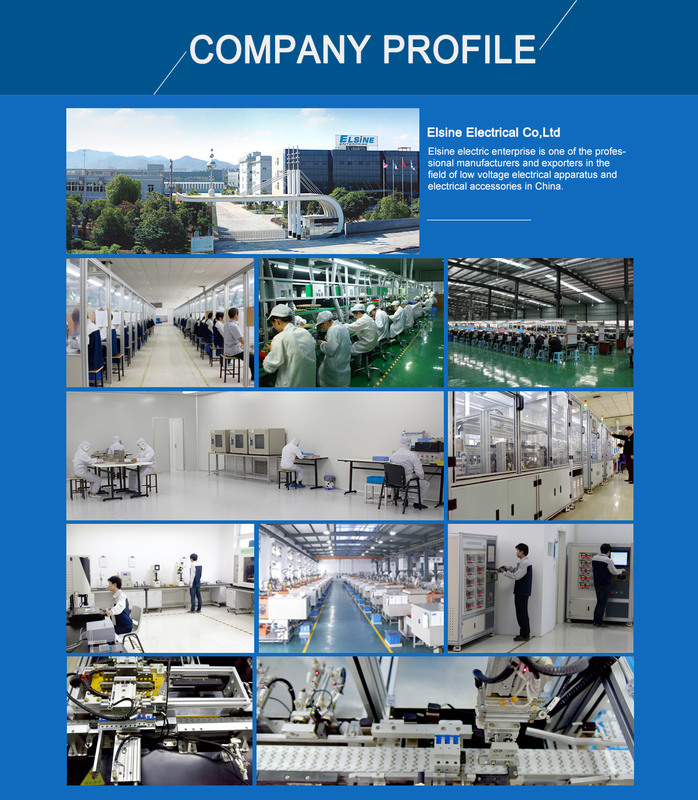 Elsine electric enterprise is one of the professional manufacturers and exporters in the field of low voltage electrical apparatus and electrical accessories in China. Standing to ISO9001 principle and IEC standards fastidiously, based on developing principle of innovation, we have developed our own advantaged new manufacture system. So all products experienced strictly quality control since material. Since established in 1996, we invested in development of specialized factories, so that can keep active and high quality creativity, which make sure customers to get satisfied service and quality products. Now we have grouped our factories, which are specialized in variety of electrical products. 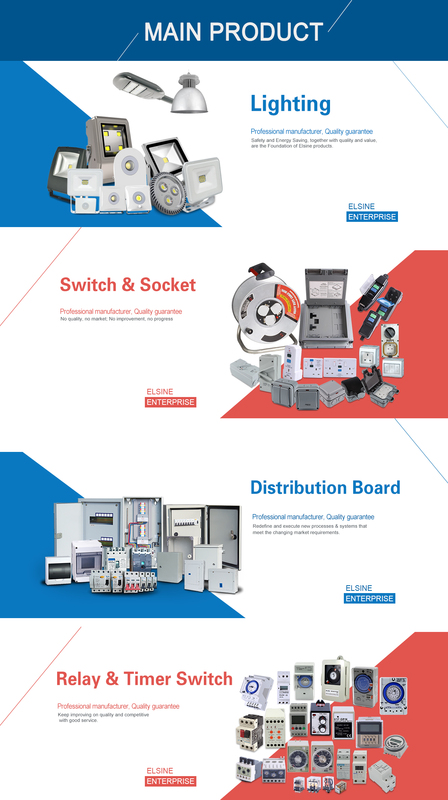 Such as Distribution box, Circuit breaker(MCB, RCCB,RCD,ELCB,RCBO,Isolator,MCCB), AC Contactor, Relay,Lighting, Wall switch & socket, Pushbutton switch, Meter, Fuse, Cable &Wire ,Cable reel,Ventilation fan and electrical accessories etc. Many products are certified under international certification, such as CB, CE, SEMKO, KEMA, BSI, GS, SASO. OEM and ODM orders are welcomed. Any new idea will excite more market. We will keep improvement of technology in daily life, offer you excellent products, competitive prices, humanized service. Highly skilled professional engineers, technologists and technicians. Contact us now! You will get highly satisfied answer!